Sails Up 4 Cancer is proud to have been chosen for the 5th straight year as one of Subaru’s Share the Love charities. 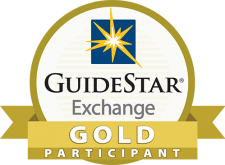 Holmgren Subaru and the SUBARU LOVE PROMISE proudly work with charities and organizations. We believe in making the world a better place. Over the past 22 years, we’ve donated more than $50 million to charity & our employees have logged 28,000+ volunteer hours. Subaru of America, Inc. has announced it will donate $10 million to charitable partners during its tenth annual Share the Love” event. 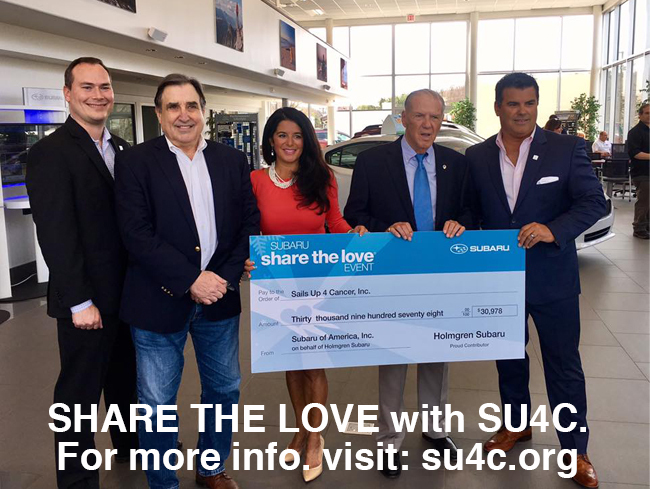 In 2017, Subaru donated $5 million to “Share the Love” charities and over the course of the program, Subaru has donated a total of $35 million.From Nov. 15, 2018 to Jan. 2, 2019, Holmgren Subaru will donate $250 for every new Subaru vehicle sold.